Developer Quote: "Car Crusher is a fun filled, addictive and challenging puzzle game." Imagine using gizmos such as magnets, conveyors, portholes, bouncers, industrial balloons and truck tires to wreck as many cars as possible! (The end result is more cash for you, of course!) 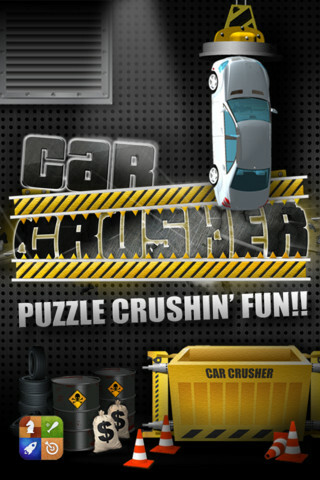 Luckily, in this game there is no time limit, so just work away at your own pace at crushing those cars. 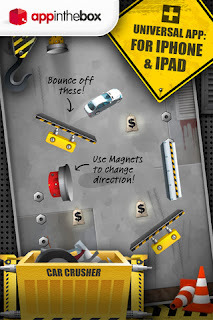 Finish all the levels in a stage to open the 'Quick Cash' bonus levels so you can take control of lots more cash and gain some valuable points too.